What kind of experiences might you notice arising in the course of esoteric practice or via Spiritual Transmission? What is the secret to relating to them rightly? 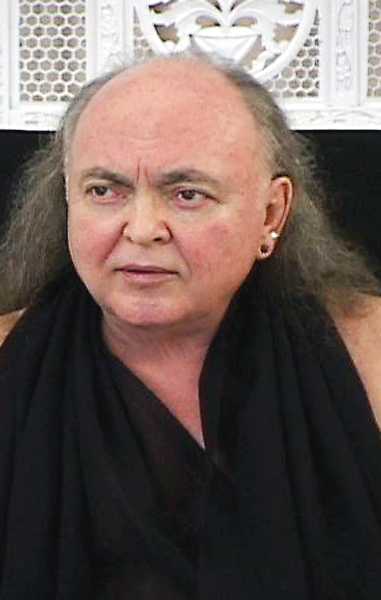 Avatar Adi Da Samraj addresses questions on this topic in two revelatory 2004 Discourses: On December 5, when asked by a devotee about a particular experience, Avatar Adi Da contrasts the self-authenticating nature of the experience with the attitude of having a question about the experience. And on August 13, Adi Da speaks about the potential of blissful experience to create unrealistic presumptions about the self and about real practice. The true Yoga of Adidam, this tacit participation in My State, ultimately goes beyond . . . all associations, beyond all limiting metaphors, and beyond all changes, gross, subtle, or causal—all space-time changes, all perspectives, all “point of view” overlays, all ideas of “self”, all questions. . . . It is not about turning within or turning toward some presumed state that you feel is tacitly underneath your own body-mind conditions and looking for it through some inwardness, or turning upon “self”. It is a matter of getting the secret of the experiences, which is in this devotional turning to Me in the “self”-forgetting manner.